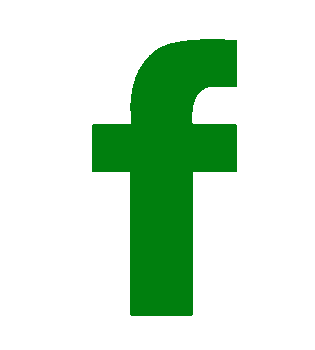 The University of North Texas women’s basketball team wasn’t the only member of the Mean Green to pick up a big win on Thursday. 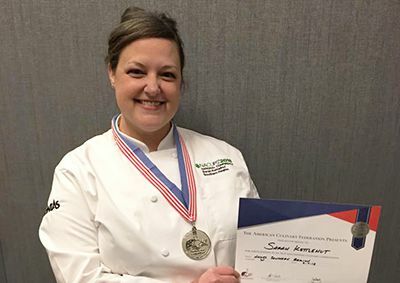 UNT Dining Services Chef Sarah Kettelhut was also victorious as she totaled 84 points to finish in first place out of eight competitors and earn a silver medal at the NACUFS (National Association of College and University Food Services) Culinary Challenge. The event was part of the association’s Southern Regional Conference, which was hosted by UNT Dining Services on March 6-8 at the nearby Embassy Suites by Hilton Denton Convention Center. Competitors were given a total of 80 minutes, including 60 minutes to prepare and cook the meal. Chefs were assessed on two areas: kitchen/floor evaluation and service/tasting evaluation. Each of these components was broken into different areas, which were scored individually. The kitchen and tasting scores were added to yield a maximum score of 100 points. Medals were awarded based on the number of points earned. Chefs were required to prepare a dish utilizing three main ingredients – clams, oysters and squid. Kettelhut’s original dish, named the Ocean Wave, was comprised of Rhode Island clams in bacon cream, sautéed squid and crispy gremolata oysters with potato ribbons and Swiss chard sauté. Kettelhut said she wanted to use ingredients that were familiar to Rhode Island. She attributes the win to her secret weapon, the Swiss chard that was grown on campus at Mean Green Café’s hydroponic garden by Chef Cris Williams. Kettelhut was competing for just the second time on Thursday, but it was her first solo event. Last year, she teamed with UNT chefs Scott Bullock, Pierre Thilliez, and John Mercer to earn a silver medal at an American Culinary Federation (ACF) competition at the University of Massachusetts in Amherst. Thanks to her win at the regional challenge, Kettelhut has earned a spot in the NACUFS National Culinary Challenge. She will square off against five other regional winners on July 11 in Providence, Rhode Island.